Living with arthritis is rough. Soon the pain increases and over­the­counter pain relief doesn’t work. you walk because, well, you look so old. other doctor administered treatment options. After that, you begin to discuss joint replacements. It is all overwhelming and seems so permanent. conditions that cause arthritis, resulting from factors like disease, genetic conditions, infections and age. To Traditional Chinese Medicine (TCM), a blockage in the flow of Qi causes arthritis. based on the specifics of each person’s diagnosis. weeks after that. The patients were monitored for 2 years. continued. The study showed a significant improvement in pain, stiffness and function as early as 1 month into the treatment. What’s interesting is that not only did this study find acupuncture to be effective in treating the symptoms of arthritis, it found acupuncture to be cost­effective. Each acupuncture treatment cost £20, while a knee replacement cost £5000. The savings is significant. 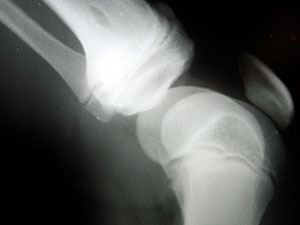 If you have arthritis, your disease doesn’t need to progress to an inevitable joint replacement. Nor do you need to suffer from chronic pain, stiffness and loss of motion for the rest of your life. You don’t need to move like someone twice your age and you don’t need to live tethered to your pain medications. Diabetes is a worldwide concern.